When I started travel blogging, I was quite naive because I thought it was purely about writing. However, it involves a lot more than that, and good photography is part of it. Indeed even the whole world of travel writing has progressed in that if you pitch any publication, famous or not, they generally ask for high-resolution photographs as well. Therefore, over the years, as well as trying to become a better writer, I have also delved into the world of photography. During my learning experience, I’ve hooked up with locals in whichever destination I travel to because they know the most scenic spots, best times of day and off the beaten track destinations to ensure your photos are different from the millions of others on the Internet. Therefore, on my last visit to Cappadocia, my friend Kadir from Turkey Tour Organizer suggested that this time, I try out their new photography tour. The plan, instead of going up in hot air balloons was to get unique shots of them floating above the valleys from various viewpoints. 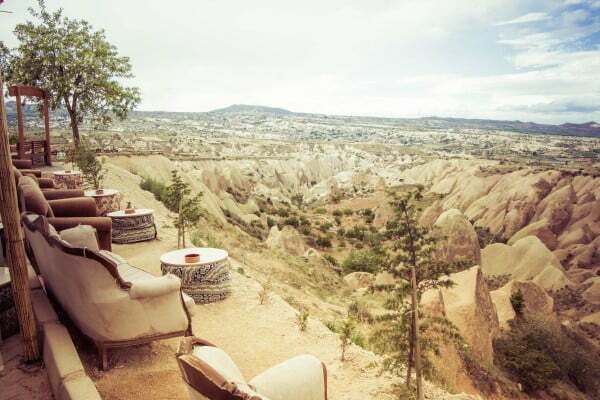 We would then go onto the best photography spots in Cappadocia. I diligently woke up at 4 am and met Erkan and his wife outside my hotel. 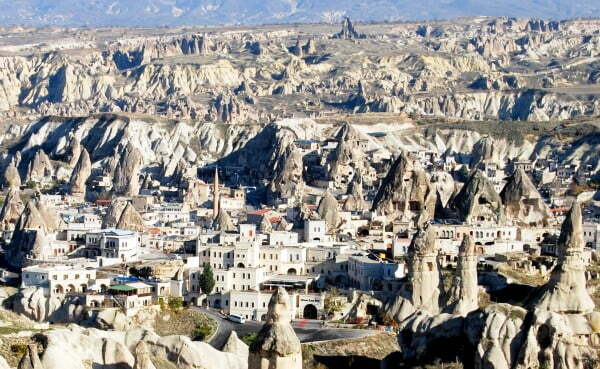 We went to Goreme, the hub of all towns in the region and from where the hot air balloons take off. On a good day, 50 or more balloons ascend into the sky so there are many opportunities for a brilliant photo but on that particular morning, everyone was uncertain as to whether the rides would actually take place. 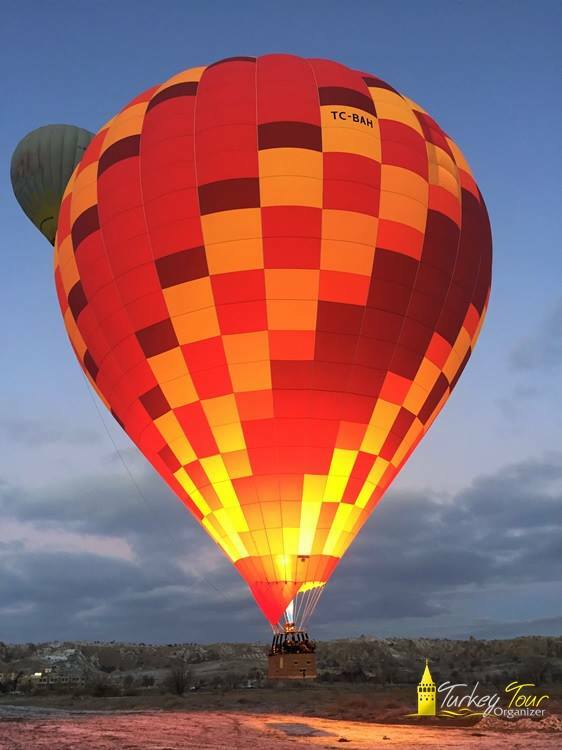 The Civil Aviation Authority heavily monitors the hot air balloon industry of Cappadocia, and they only fly if the CAA gives permission to proceed. Bad weather the day before, bought doubt as to whether that morning’s flights would take off and everyone was waiting for the members of the CAA to complete their daily weather checks for wind conditions. Huddled around a makeshift fire in the grounds of Royal Balloons, we anxiously kept looking at the big screen showing the updates. Green meant the balloons rides could go ahead, but if the update showed red, nobody would take off. The answer came shortly later, and I felt a huge surge of disappointment. All balloon flights were grounded and I would not have another opportunity on another day because I was already booked on other tours. Nevertheless, not all was lost! With a heavy heart, I returned to my hotel, went back to bed and met Erkan at 11 am instead. For landscape views of the strange and weird Cappadocian landscapes, we visited the panoramic viewpoints of Love, Rose and Red Valleys. 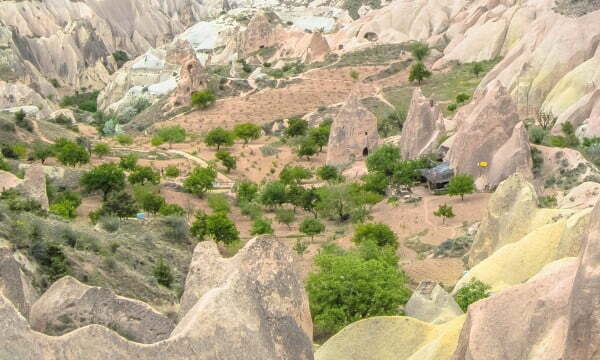 The positions are great because if you are not a hiker or trekker because you still get a unique view of the lunar-like landscape and fairy chimneys. Following that, we headed to the small and rural Anatolian town of Nar near Nevsehir city. Devoid of all traces of tourism, citizens of the old part of town are traditionally excellent farmers growing their own cucumbers, tomatoes and salad ingredients to sell at market. Our last stop was the impressive deluxe suites of the Argos hotel and their underground wine cellars containing more than 23,000 bottles of wine. I took roughly 100 pictures on that day and as any photographer would tell you, shot them in raw and edited them in Lightroom, which is now available on a monthly or yearly subscription. Some will become part of my private collection while others will replace old pictures taken when I was completely ignorant about photography and the vast range of techniques that come with it. So anyway, back to answering a question that I received a while ago, and that is which are the best photography spots in Cappadocia. Well, hey, this is the good thing about Cappadocia because everything is a photographic gem from the old houses to the streets, people, and food. If you are specifically looking for excellent landscape views, though, you have three choices. 2: Any of the panoramic viewpoints overlooking valleys such as Esentepe, Pigeon, Red, Love, and Rose. In Uchisar, head to the castle, that is said to be the highest point of the region. 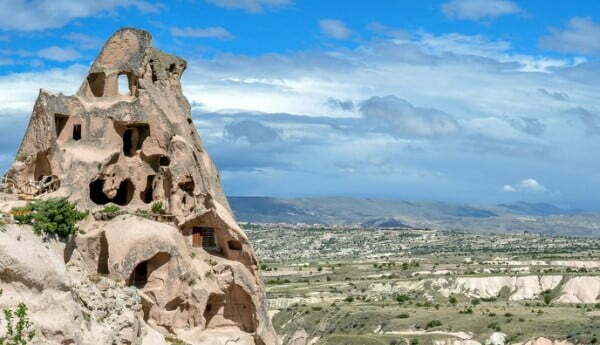 Goreme has a rock viewpoint over the town although my friend Kadir who I mentioned above will also let you into the Travellers Cave Hotel for an equally impressive view. If you want to know more about photography tours in Cappadocia, contact my friends Erkan and Kadir, who run Turkey Tour organizer. See more about their tour here, in which you can tailor-make, your own itinerary or utilize a professional photographer for tutoring and instructions on travel photography. This is perfect, I’m making a stop in Cappadocia for a few days while in Turkey next month and was really hoping to see the balloons at sunrise! Now I know where to photograph them from! Great post! Hi Thomas – No, I’ve been three times to do the balloon trips and backed out everytime! I personally like the view from the hill at the entrance to the Ihlara Valley. It´s absolutely stunning. Of course the hot air ballons are the number one photography spot in cappadocia. Did you do a trip with a ballon? I am asking because I have read in your article about Galatatower, that you are scared a little bit of high places. I have done the hot air ballon trip but my girldfriend hasent done the trip and she usually doesent like high places. I will get there one day before I perish!